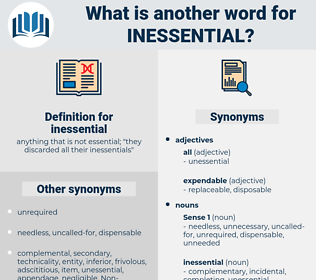 What is another word for inessential? 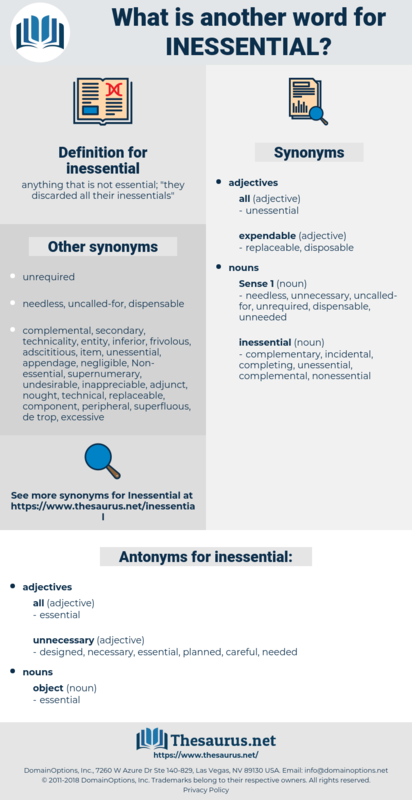 anything that is not essential; " they discarded all their inessentials"
careful, planned, needed, necessary, designed. constitutive, indispensable, urgent, constitutional, constituent, necessity, staple, requirement, organic, must, needful, important, life-sustaining, no-frills, biogenic, primary, vital, imperative, crucial, required, all-important, substantive, virtual, substantial, pressing, requisite, basal.